I'm Dr. Nakazawa, also known as Kabukicho's "Ramen Man." I work in a pharmacy in Kabukicho. Kabukicho is a district that never sleeps, always busy drinking and playing-and ramen is the food that powers Kabukicho. Ramen is an art that fuses appetizer, soup, and main dish together in one bowl. The competition in Kabukicho is tough, but here are my most highly recommended Kabukicho ramen restaurants! 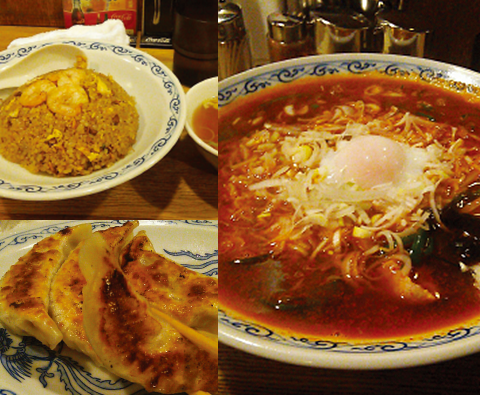 this is Nakazawa, reporting about the most highly recommended ramen restaurants in Kabukicho. By the way, I operate a pharmacy in Kabukicho that's open deep into the night. 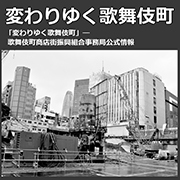 It's a unique place in Shinjuku, that city within a city.Someone like me, writing a "Ramen Report?" 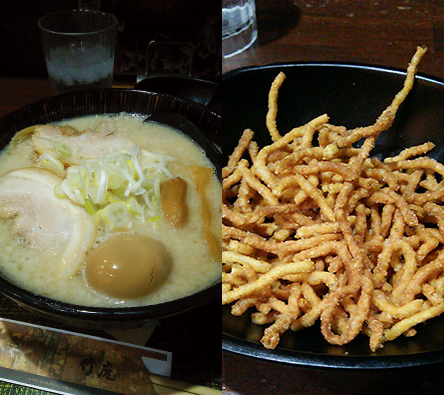 Well, ramen is a healthy food in its own way(laughs). 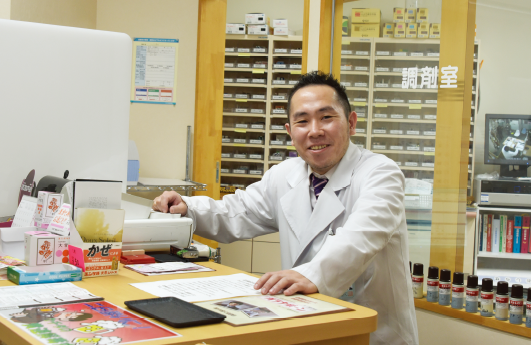 People have started calling my pharmacy "the infirmary of Kabukicho." But enough about me. Let's take a tour of my most recommended ramen restaurants! Originally operating in Myogadani as "Ramen to Gohan no Takagi," this restaurant moved to Kabukicho in 2015 and under the name "Yakiago-ramen Takahashi. "Owner Takahashi also runs a website that sells Koshihikari, a variety of rice grown is his home prefecture of Niigata. The rice he uses in his shop in also Niigata Koshihikari. Thebroth uses a fairly rare stock made from fried flyig fish("ago"), This kind of stock is much harder to find than regular stock made from boiled and bried fish, so it's usually used in Japanese-style dishes.However, this restaurant uses it in shio("salt") ramen. Takahashi may have gotten the idea from a popular ramen restaurant in the town of Naoetsu, in his native Niigata. that shop also uses "agosuke," a stock made from flying fish. The pork used in the ramen comes in two varieties, chewy pork prepared at low temperature and soft pork so tender that it crumbles when you grip it with chopsticks. I recommend ordering rice so you can put it in the leftover broth and soak up the flying fish stock. It's a real treat. Two restaurants, one in Golden-gai Honkan and one in Golden-gai Betsukan (on Hanamichi Dori).Both are open 24 hours a day. This shop's flavorful broth, which uses twenty kinds of boiled and dried fish, shot to popularity in the drink of an eye. Niboshi ramen Nagi now has several overseas locations as well. The broth uses meat stock made from chicken bones, venison, pig's feet, and roast pork fat, and fish stock made from two kinds of blue-backed Japanese anchovies, one kind of white-backed Japanese anchovy, and flying fish. The broth contains 50 grams of boiled and dried fish per scoop of ramen, The saucce is boiled with plenty of soy sauce aged in cedar barrels (Yamaroku soy sauce) from shodo Island, sake, mirin, oysters, kombu, boiled and dried flying fish, and more, then left to rest for a week. The noodles are thick, flat, and curly. They are rubbed by hand before they are boiled to make the soup come together. Depending on your tastes, you can adjust the amounts of salt, soy sauce, and seasoning; get soft, regular, or tough noodles; get a weaker, normal, or stronger flavor; get a small amount of oil, a regular amount, or more oil; and adjust the bitterness. Famous for dishing out massive amounts of noodles. If you don't think you can eat that much, you can ask for a portion that has fewer noodles, or only half the regular amount of noodles. When you're asked "Do you want garlic?" just before you get your bowl, that means you need to choose one or more free toppings: vegetables, garlic, roast pork fat, or salty (soy sauce). Reply with something like "Vegetables, garlic, and fat." If you want all of the toppings, just order "Zenmashi de" ("with everything"). there is also "Mashi-mashi" ("Even more"), an option that gets you an even larger volume of free toppings. This option is not seasoned, so use the flavorings available on the soak up the soup while you're still busy eating the vegetables on top. This restaurant works on the principle that they provide the customer not just with food, but also with space and time. That's why there are private rooms where customers can eat in a relaxed atmosphere. Someone said on a TV program that this is a restaurant that famous entertainers "visit often," a statement that made the place all the more popular.From the private rooms to the hot hand towels and the free fried noodles that are served to customers while they wait for their food to arrive, this is an unusual ramen restaurant that places a premium on hospitality.I particularly recommend the "urataketora ramen," which is tonkotsu ramen made with thick soy sauce. 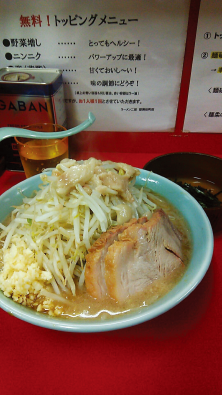 It is so-called "cha-cha ramen" that has lard covering the surface of the broth. When the lard is shaken in a strainer, it makes a sound somewhat like "cha-cha." That is why ramen with lard floating in the broth become known as "cha-cha ramen." The expression "to eat everything down to the marrow" could just as well have been invented to describe tonkotsu broth. It lacks the distinct smell of pork and is very easy to eat. You mix the medium-thickness wheat noodles coated with soy sauce with the rest so that when you slurp, the thick soup is dragged up along with the noodles. This old ramen restaurant, established in 1969 as "Kameyoshi," has been beloved by generations.I particularly recommend the "orochon ramen," made according to a traditional Rishiri recipe that involves over ten kinds of spices from chili peppers to pepper. When you taste the ramen, those spicy flavors are immediarely followed by "umami" and sweetness that comes from the plentiful use of Akagi Chinese softshell turtle. You can also ask for a topping of eggs so that you can enjoy the changing flavor of the dish as the sweetness of the eggs is suddenly added to the rest.Rishiri's gyoza and Chinese-style fried rice are popular too. The fried rice comes with tender shrimp on top, and rice is fried to absolute perfection. The restaurant reportedly runs out of fried rice around 11 p.m. because so many customers request it. Around 3 or 4 a.m., every table is taken by Kabukicho workers who are done for the night. Rishiri, which is open only during the night, is unique to Kabukicho. Until the earliest hours, the staff welcomes every customer with a smile, filling hearts as well as stomachs. The competition among ramen restaurants in Kabukicho is tough. 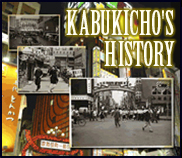 I definitely think you should take a walk through Kabukicho and try out lots of different ramen restaurants. If you're interested in Kabukicho, don't hesitate to drop by the Nyx Pharmacy.I'll tell you what you want to know, insofar as I can. Sometimes I forget I actually run a pharmacy (laughs).